HALL OF FAME NAME!!! 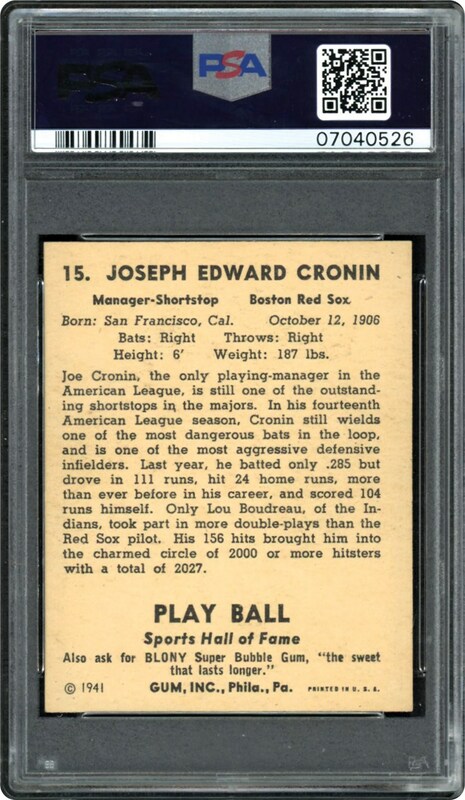 A low pop Joe Cronin card from 1941 with just 4 grading higher. 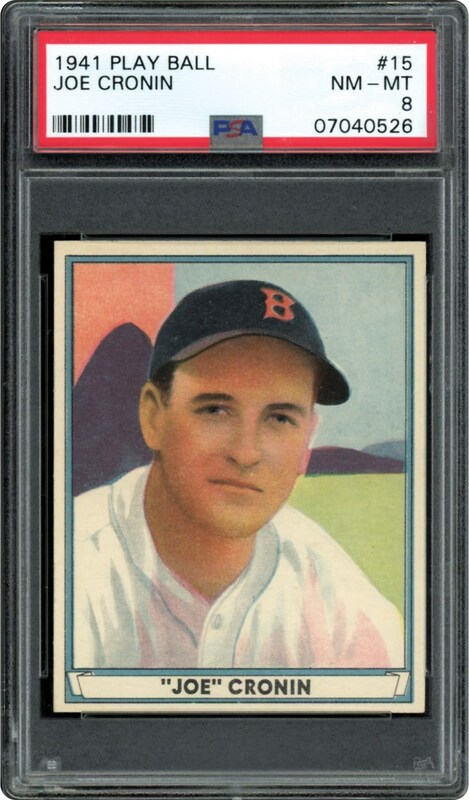 Great eye appeal, PD free and clean reverse with fresh centered white borders. Add this one to your collection.